Milwaukee with a degree in business administration (B.B.A.). He received his law degree (J.D.) from Marquette University Law School. He also holds a Masters degree in Business Administration (M.B.A.) from Marquette University. Attorney Asti is admitted to practice in the following courts: All Wisconsin Trial (Circuit) and Appellate Courts; the Federal District Court for the Eastern District of Wisconsin; the Federal District Court for the Western District of Wisconsin; the 7th Circuit --United States Court of Appeals; and the United States Supreme Court. He has also been appointed three times by Wisconsin's Supreme Court to serve terms (2007-2010, 2010-2013, and 2015 - to present) on the Court's Office of Lawyer Regulation – Preliminary Review Committee, which is part of the lawyer regulatory system. He was elected Vice Chair of the Preliminary Review Committee (2009-2013). In 2015 Attorney Asti was selected as a Fellow of the Wisconsin Law Foundation (WLF). The WLF is an honorary program which recognizes lawyers who are known by their peers for their service to the profession, to their community, and to justice. Attorneys may join WLF by invitation only. 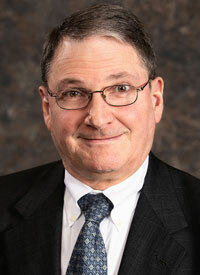 Attorney Asti has participated in many Bar Association activities, and is a member of several legal organizations, including the State Bar of Wisconsin where he was elected twice to the Board of Governors, serving from 2005-2009. He is also a member of various State Bar of Wisconsin Sections, and was former chairperson of the Bar's Special Committee Board of Bar Examiners Review from 2003-2011 and its Professionalism Committee from 2011-2013. He is also past president Ozaukee County Bar Association, and a member The American Association For Justice. Attorney Asti has been involved in various appeals, including: Meunier v. Ogurek, 140 Wis. 2d 782; Kaltenbrun v. City of Port Washington, 156 Wis. 2d 634; Hathaway v. Cedarburg Mutual Ins. Co., 177 Wis. 2d 728; and Jones v. Estate of Jones, 2002 WI 6. Outside of his practice, Attorney Asti is a speaker in continuing education programs and has spoken on legal issues before a variety of groups, including groups at the University of Wisconsin.